Ex demo bus, with luxury interior fittings. Originally registered SN61 DFK. 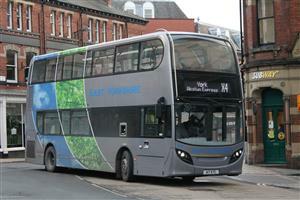 Picture (on X4 in York) courtesy of Adrian Brown. 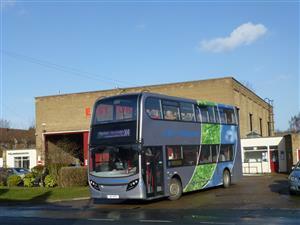 Picture (outside Elloughton depot) courtesy of Simon Oliver. Picture (in EYMS livery) courtesy of Mike Davies.